The combination of leading research infrastructure, innovative programs, and a strong network of researchers makes McMaster University an ideal environment for studying and researching music cognition. The McMaster Institute for Music and the Mind brings together researchers from across the university, including faculty from Psychology, Neuroscience & Behaviour, Music, Computing and Software, Electrical Engineering, Kinesiology, Mathematics, and other related disciplines. The institute offers interdisciplinary training opportunities for both graduate and undergraduate students, and serves as a hub for promoting study of and interest in the psychology of music. The institute supports an innovative undergraduate specialization in music cognition both through course offerings and through research opportunities. In support of this institute, McMaster (in conjunction with the Canadian Foundation for Innovation) has built a revolutionary recital hall/research facility – LIVE Lab the LIVE Hall – on top of the Psychology Complex. This facility (pictured above) contains dozens of speakers embedded in the ceiling facilitating the use of a virtual acoustics system simulating different performances spaces, advanced motion capture equipment, EEG equipment for monitoring the brain states of 30 audience members, high quality audio-visual recording equipment, and sophisticated touchpad responses systems enabling real-time monitoring from up to 100 concurrent listeners. The Music Cognition Specialization offered at McMaster University is one of its kind in Canada, as it provides students with an opportunity to study music cognition at the undergraduate level. The specialization provides its students with unparalleled access to state-of-the-art facilities, a network of world-class researchers, professional development workshops, and various work/volunteer positions. Thus, its students graduate with a solid theoretical foundation, as well as highly relevant practical experiences, which ultimately enables them to successfully pursue research within various domains of music cognition at the graduate or professional level. Students (and alumni) of McMaster’s undergraduate specialization in music cognition. 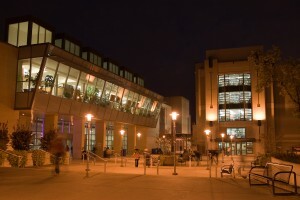 Students in the specialization are required to take a unique blend of courses offered by both the School of the Arts, as well as the Department of Psychology, Neuroscience & Behaviour. Most of these courses are centered on topics in music theory, as well as research methods and design. Furthermore, students are given the opportunity to work under various faculty members in the form of an independent lab study or an honours undergraduate thesis. Thus, the coursework was carefully chosen as to provide students with the tools necessary to (eventually) conduct research. Follow these links for more information for students enrolled in either the Music or Psychology stream. McMaster has built an international reputation as a leader in interdisciplinary research. The university employs five full time faculty members with research interests in music cognition: Drs. Laurel Trainor and Steven Brown (Psychology, Neuroscience & Behaviour), and Drs. Michael Schutz, Matthew Woolhouse and David Gerry (School of the Arts – Music). Drawing upon these faculty members, McMaster offers a rich environment for studying and advancing the field of music cognition. With a total sponsored research income of $377.732 million averaging $310,100 CAD per full-time faculty member, McMaster is the third most research-intensive university in the Canada. 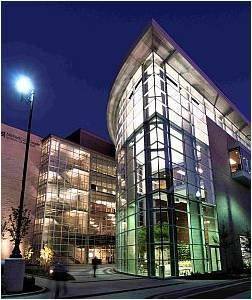 As a member of the U15 (a group of research-intensive Canadian universities) McMaster has built a reputation for research excellence with a particular focus on cultivating innovative interdisciplinary projects. McMaster’s campus is nothing if not beautiful – nearby attractions include Cootes Paradise, the Bruce Trail, the Niagara Escarpment, the Waterfront Trail, and the Royal Botanical Gardens. 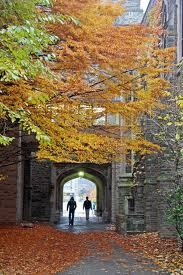 Although originally established in 1887 in Toronto, McMaster University officially moved to Hamilton in 1930. All six of its original buildings are still in use and it has expanded to include 50 more buildings over the years. The University’s original building, McMaster Hall, now houses the Royal Conservatory of Music headquarters.